For generations, people have defined and protected their property and their privacy using locks, fences, signatures, seals, account books, and meters.This is changing, and quickly. Most records are now electronic, from bank accounts to registers of real property; and transactions are increasingly electronic, as shopping moves to the Internet.The essence of good security engineering is understanding the potential threats to a system, then applying an appropriate mix of protective measures—both technological and organizational—to control them. Knowing what has worked, and more importantly what has failed, in other applications is a great help in developing judgment. It can also save a lot of money. 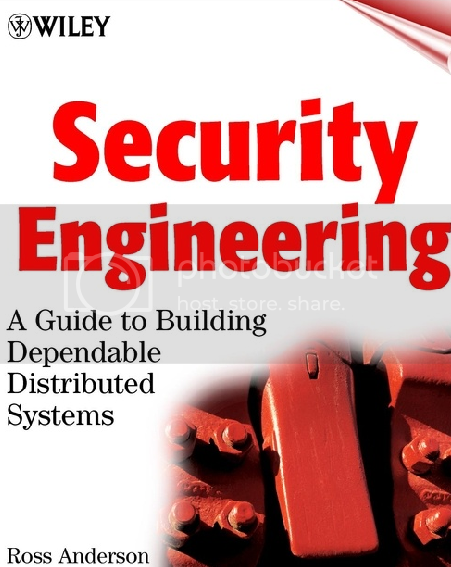 The purpose of this book is to give a solid introduction to security engineering, as we understand it at the beginning of the twenty-first century. Posted in Code. Bookmark the permalink.